NiceLabel is a leading provider of labeling software for applications such as supply chain, manufacturing, food and beverage, and retail. NiceLabel’s software is versatile, allowing companies to choose from industry-standard label templates or create their own custom label. 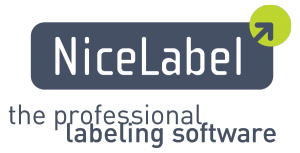 With simple label printing automation, NiceLabel’s software integrates with leading software applications to deliver a seamless label printing experience. With 2014 marking their 20th anniversary, NiceLabel is recognized as the world’s leading developer of Windows-based drivers for thermal printers. Their software and drivers are used by multiple Fortune 500 companies around the world. Additionally, they are a Microsoft Gold Certified Partner, an Oracle Gold Partner, and SAP Certified.